Shawn has been working as a Personal Trainer since 2006. During his 10+ years in the industry he has continually upskilled himself by completing Degree's at Victoria University; a Bachelor of Exercise Science and Human Movement as well as a Masters in Clinical Exercise Science and Rehabilitation, and undertaking multiple short courses that include both Level 1 & 2 ASCA Strength & Conditioning qualifications. Throughout those 10+ years of training Shawn has worked with elite and junior elite AFL and rugby athletes in both a team and individual capacity, he has also helped people manage a range of chronic conditions and improve their functional capacity and strength. Shawn’s passion is helping athletes reach their goals, whether it be rehabbing to get back to competing in their desired sport, or take their performance to new levels. He does this in personal training sessions and group training sessions. All his sessions have a strong focus in lifting weights. He also enjoys helping to pass on knowledge to others, having done some teaching at Deakin University and supervised students on placement. Mason has a strong education background, having completed two degrees; a Bachelor of Physical education (majoring in Sports science), and Bachelor of Science (majoring in Human Nutrition) from Otago University. Upon completing his university education, Mason made the move to Melbourne in search of a role to apply his knowledge, where he found a role as a personal trainer in 2012. After a few years of putting into practice his education by training clients Mason, decided to focus on himself and competed in Natural Novice Bodybuilding in 2014, only to realize it wasn’t for him. Not all was lost however, the experience was life changing as he learned the struggles related to weight loss, which many of people face. Having experienced this first hand, he knows what it takes to drop weight and maintain a leaner physique. Mason has helped many clients lose weight and keep it off; to have the body they’ve dreamed of. Mason relishes the opportunity to help clients to reach their goals, whether it be performance or physique orientated goals. His passion and determination for clients to succeed is matched by his knowledge and experience in the industry. Over the coming year Mason is looking to complete his Level One Strength and Conditioning certification through ASCA, and work with young athletes in strength and conditioning role. 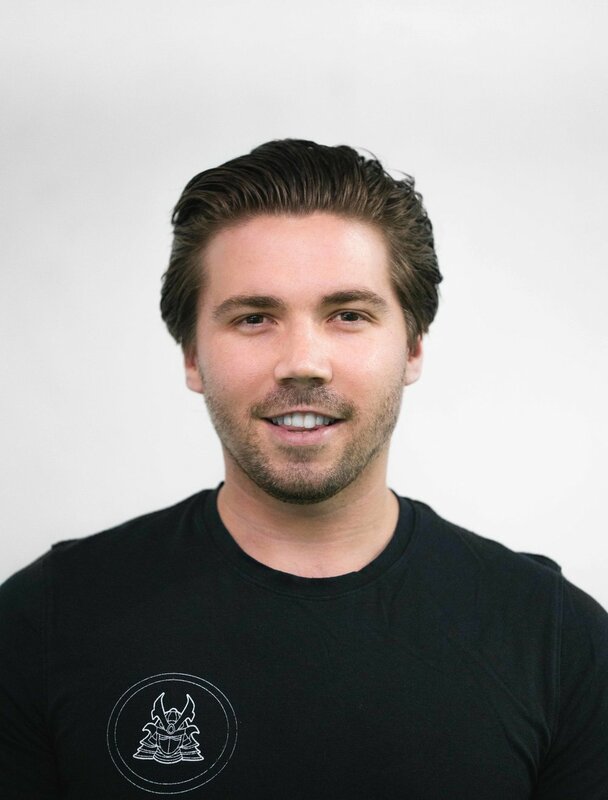 Chris has worked in the fitness industry since 2012 as a Personal Trainer and a Group Fitness Instructor, over the years he has run boxing classes, kickboxing classes, circuit sessions, bootcamps, small group training sessions and group fitness sessions for high school kids. Chris started in the industry with a background in Martial arts training, competing at a low level in MMA, kickboxing & Brazilian Jiujitsu, back then he only had a basic knowledge in weights training & holding pads. Over the years his further studies lead him into both Olympic weightlifting & Powerlifting, giving him a more thorough understanding of strength & conditioning and all of the benefits that come with it. Trang is a Personal Trainer and Physiotherapist, with the vision to help people achieve maximal physical performance, to ultimately fulfil their absolute potential. She completed her Bachelor of Health Sciences and Masters of Physiotherapy Practice at La Trobe University, and has continued to further her education with the ASCA level 1 course, APA Introductory & Advanced Sports and Spinal Dry Needling, La Trobe Running Symposium, Advanced Sports taping, etc. In her own time, Trang has competed in the 2016 INBA bikini competition, completed the 2018 Run Melbourne Half Marathon, plays soccer and does her own weight lifting training. She has a keen interest in training field athletes, long-distance runners and weekend warriors. Through coaching, training programming and injury management, Trang has helped people take their training to the next level, to break through perceived barriers and achieve their ultimate sporting goals. If you want to build on your athletic development, become stronger, faster and more powerful, Trang can help you make that happen. Jordan has been working as a personal trainer since 2016. Prior to beginning his personal training career, he completed a Bachelor’s degree in Exercise & Health Science and is currently completing a Masters in Secondary Education specialising in Physical Education and Health. Jordan has worked in a variety of training environments during his time as personal trainer working both in a home – based settings and multiple commercial gyms as well as performing an internship under head coach and trainer Shawn Connor in 2017. Jordan has worked with a multitude of clients with a wide range of goals including; fat loss, muscle gain, strength building and exercise rehabilitation. Jordan is passionate in helping his clients achieve their goals in a consistent and sustainable manner so as to maintain the results they have worked so hard to achieve. Patrick begun his career as a personal trainer in 2016, while completing his Bachelors in Exercise and Sport Science from Deakin University. Patrick went on to start his Masters in Exercise Science (Strength and Conditioning) in 2018 to continue to develop his knowledge and understanding of health and fitness. Patrick has worked in a variety of training environments, mainly focussed on home based training before moving to a gym setting after completing an internship under head coach and trainer Shawn Connor in 2017. Patrick has worked with a multitude of clients with a varying goals, from fat loss and muscle gain to strength building and rehabilitation. Patrick is passionate in helping his clients not only achieve but maintain their goals in a way that is simple and gives them the tools and understanding how to do it themselves.